Born December 9, 1953 in the city of Odessa. From 1971 to 1976 he studied at the Odessa Polytechnic Institute, graduated with a bachelor’s degree in Automated Process Control Systems and received a qualification as an electrical engineer. From 2009 till 2013 he studied at the National University “Law Academy of Ukraine named after Yaroslav the Wise”, specialized in Jurisprudence and qualified as a lawyer. • Breastplate of the Border Troops of Ukraine “Excellent Border Guard” II degree. In 2003 he was awarded the Medal of the Head of the Security Service of Ukraine “For Distinction in Service” of the 1st degree. In 2005, he was awarded the Medal of the Head of the Security Service of Ukraine “Veteran of the Security Service”. • a memorable sign “85 years of the Red Banner Odessa border detachment”. • Honorary award of the Odessa City Mayor “For Merits to the City. In 2008 he was awarded the Order “For Friendship and Faithful Traditions”. In 2011, he was awarded the insignia of the Fund for Veterans of Military Intelligence “For the Comradeship”. 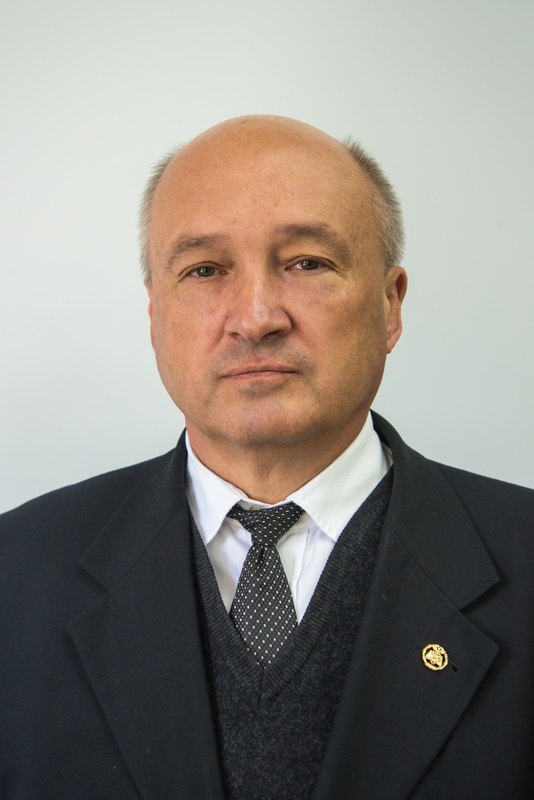 In 2017 he was appointed vice rector for administrative and economic activities of the National University of State Fiscal Service of Ukraine. Visiting hours: every Friday since 13:00 till 16:00.